Cost: £175.00 (175 Pounds Sterling- for currency conversion see www.xe.com) Extra costs & shipping may apply for some non-EU countries - see apply page for details. A FREE textbook will be included for students from the UK. Students outside the UK will need to order the textbook separately - free shipping is available to many countries from our recommended supplier. A 50-page course manual is also provided in PDF format. Textbook study. Written assignments based on textbook, self-reflection and set exercises. Assignment questions are issued by email and students return their written work by email. Grades and feedback are issued by email. Continuous assessment - no final exam. Nominal study hours: 120 hours. This course replaces our previous introductory course in counselling skills with a more up-to-date and comprehensive approach. The course is aimed both at counselling students intending to go on to longer full counselling or psychotherapy courses and qualifications, and those who want a stand-alone shorter course for use in their work as informal counsellors or helpers in a variety of settings such as voluntary or educational work, life coaching, nursing, health care work, youth work, pastoral work, mentoring and human relations. Hypnotherapists and complementary therapists will also benefit from this course which will give them an essential background in therapist-client communication skills together with practical techniques, as well as a qualification in counselling skills that can lead to membership of a professional register. The course may also be taken for personal interest or self-development. The course is divided into five sections. This section looks at what the activity of counselling is and what counsellors and helpers do, basic counselling communication, and how counselling develops “mind skills”. The section also examines one model of how counselling and helping “works”, and discusses the relationship between counsellor/helper and client. In this section you will learn how to build a satisfactory working relationship with the client. Listening skills, body language and attention are explained and the student learns how to recognise and start to talk about clients’ feelings. The section leads on to core skills of counselling and helping. Special topics presented here include how to relate to the resistant client, and the process of making a referral. This section focuses on understanding your client: how they think and feel and their behaviour. Specific skills are presented such as challenging the client, how to deliver feedback and when self-disclosure is useful. A method is given for observing and recording the client’s behaviour and choosing which mental skills, communication skills and behaviours can be targeted for improvement. Section 4 goes more deeply into techniques for change, which means helping clients to use better ways of thinking and relating to others so as to improve their life skills and coping skills. Part of this skill set is drawn from life coaching. Clients can also be shown how to monitor their behaviour and thoughts using charts and diaries, how to organise progressive tasks for change, and how to give themselves rewards. The unit also looks at the middle and termination stages of counselling with guidelines on how to navigate through these phases with the client, leaving the client with skills for self-help. Section 5 contains important topics for the counsellor to be aware of. The following topics are introduced: progressive relaxation, mental relaxation, mindful breathing, crisis management, gender and culture in counselling, ethical issues concerning duty of care, further training and supervision, use of technology (counselling over the internet), and professional development. Awareness of these factors can help the student decide what type of additional training he/she would like to do next. 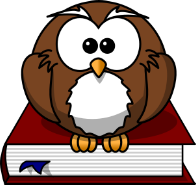 Appendices are provided on selected additional topics that are not part of the assessment. These include: autism; breathing problems; PTSD; stress breakdown; the highly sensitive person. Additional recommended reading is suggested. 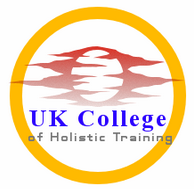 Successful graduates will receive the Certificate in Counselling and Helping Skills awarded by UK College of Holistic Training which is a private UK qualification. The college is accredited by the International Association for Distance Learning. The course is accredited by ACCPH. Course graduates may use the postnominal designation Cert. C.H.S. Website copyright © 2018 UK College of Holistic Training. All rights reserved. A distance learning course for anyone who helps, guides or manages people including hypnotherapists, health workers, managers and life coaches. This replaces our previous Certificate in Counselling Skills. This course was revised in 2017. Accredited by ACCPH. Total recommended period of study: 3 months. Continuous enrolment. No time limit. UK students will receive a free copy of the textbook. Students outside the UK will need to acquire their own copy.